The percentage of female associates in law firms now exceeds previous highs reached in 2009, but the same isn’t true for black associates. Women make up 45.91 percent of the associate ranks, while black representation among associates is 4.48 percent, according to a 2018 report on law firm diversity released Wednesday by the National Association for Law Placement. In 2009, the respective percentages were 45.66 percent and 4.66 percent. The 2018 numbers are less than a percentage point higher than in 2017. The overall percentage of minority associates continues to increase at law firms, both year over year and since 2009. Minorities make up 24.22 percent of associates, largely driven by an increase of Asians, who make up 11.69 percent of all associates. Latinos account for 4.71% of associates. The data is compiled from the latest NALP Directory of Legal Employers, according to a press release. At the partnership level, women make up 23.36 percent of law firm partners; blacks make up 1.83 percent of law firm partners; and minorities overall make up 9.13 percent of partners. The percentage of black partners didn’t increase between 2017 and 2018. There was less than a percentage point gain for women and minorities, but the increase for minorities was still notable, according to the press release. The percentage of minority partners increased by about seven-tenths of a percentage point in 2018, the largest increase in the entire time NALP has compiled the figures, according to the press release. The overall percentage of LGBTQ lawyers is 3.8 percent among associates and 2.11 percent among partners. There are widespread geographic differences, however. 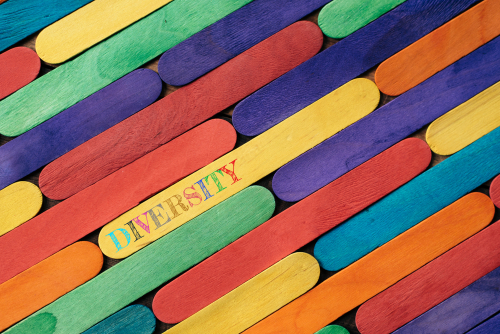 About 55 percent of the reported LGBTQ lawyers are accounted for by just four cities: Los Angeles; New York City; San Francisco and Washington, D.C.
James Leipold, executive director at NALP, called the report “a good news/bad news story” in the press release. On the good-news side, he pointed to the rebound in representation of female associates and minority partners, as well as all-time highs in the percentage of LGBTQ lawyers. On the bad-news side, he said, representation of black associates remains below prerecession levels, and representation of black partners “has barely budged since the recession.” He also noted that minority women are “the most underrepresented group at the partnership level,” with black women being the least well-represented of all.